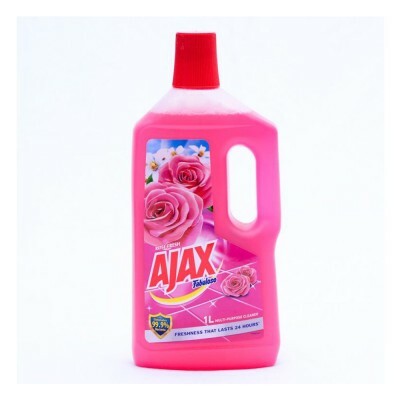 Ajax Fabuloso Rose Fresh has an improved formula to remove grease and grime more effectively. Cleaning with Ajax Fabuloso kills 99.9-Percent of bacteria from your household surfaces and floors, leaving them clean and shiny with a long lasting freshness. It is ideal for cleaning stubborn stains and for daily cleaning too. Ajax Fabuloso Lavender Multi-Purpose Cleaner help you to efficiently remove stains and grease. It is also helps to kill 99.9% unseen bacteria from you..